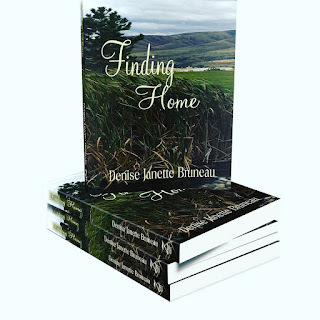 Denise Janette Bruneau: Weight loss - This is awesome! Weight loss - This is awesome! Weight loss is something we all think about at one time or another. After age 40, I started to gain weight. I could skip meals, fast, eat healthy, and exercise, yet I still gained weight. I know, in the past, when I was in private practice, many women complained of the very same issues. I seriously started to become depressed as I started having to stuff my bottom into my jeans, because I refused to size up. Can you feel my muffin top pain? The slowing of metabolism, the slow fade of estrogen, and the choice of sleep over exercise have all contributed to my struggle with weight gain. Maybe you have the same depressing issue. 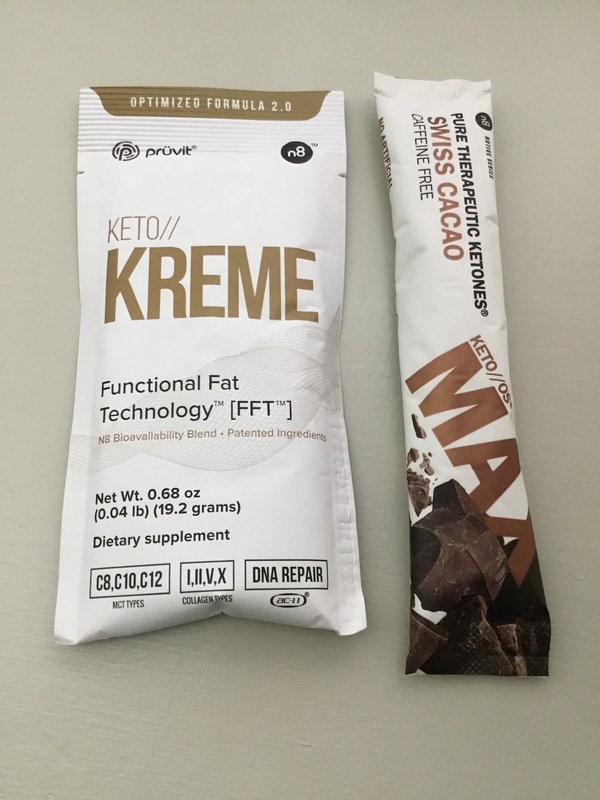 It all changed when a friend told me about ketogenic eating. I was really suspicious, because I don’t like supplements or vitamins. I’ve always believed that we get the nutrients and vitamins we need from our food. There have been a few studies showing that ketogenic diets have an effect on neurons and brain activity. Some children with epilepsy are treated with a ketogenic diet because it reduces the number of seizures they have. When I saw a small study done on the reduced number of migraine headaches in those with migraines, it got my attention. I have at least 16 to 18 migraines a month. I’m not going to quote any references here, you can find them in the medical literature. They are out there. In a nutshell, ketogenic diets reduce circulating glucose and insulin. They reduce the production of glucose, so that your body starts generating ketones for energy. When this happens, you lose weight, inflammation in your body is reduced, and you have more energy. I’ve chosen to change my diet, so that I limit my daily carbs to 20-30/day, but it’s not necessary. 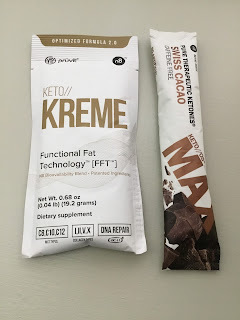 This ketogenic drink I have tried twice a day for over the last month can give you the ketosis you need for weight loss and reduced inflammation without you having to completely change how you eat. With my change in diet, I also lack certain vitamins and electrolytes. So first thing in the morning, I add Keto Kreme to my coffee. It’s delicious and gives me a burst of energy. tell you about it. You can go to the website and request a 5-day trial, if you’re interested. My opinion? It works for weight loss, more energy, elevated mood, and less intense headaches. I’m a fan.